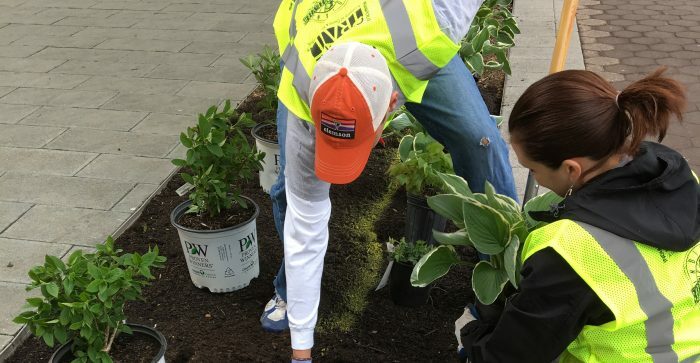 How does Indianapolis Cultural Trail, Inc. maintain all 8 miles of the Trail, 2,500 square feet of stormwater planters, urban gardens, 29 Pacers Bikeshare Stations, 251 bikes, and 10 pieces of our Public Art Collection? We rely on the 3,000+ volunteers we host annually. 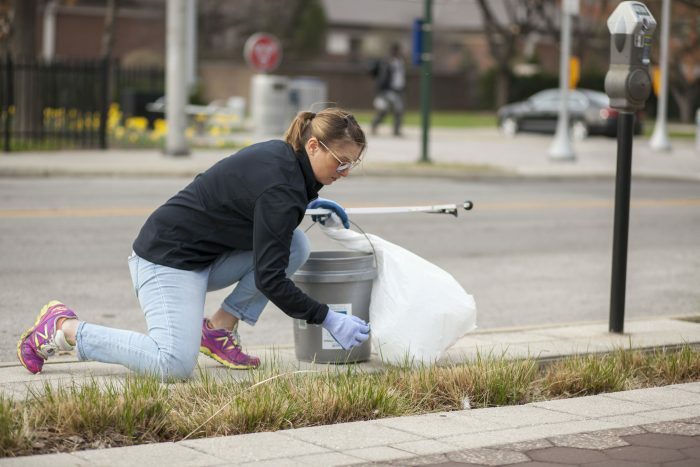 Their time spent with us ensures the Cultural Trail is a beautifully maintained and vibrant community asset connecting people and places in downtown Indianapolis. Our volunteers are a vital part of the work that we do. Our volunteers support our Trail all while engaging with the local community and connecting with Indianapolis. We have plenty of work to do! Most volunteer activities take place outside on the Trail and require some physical labor. Individuals: Browse our calendar to find volunteer opportunities that work with your schedule! Groups: Bring your team out for a morning or afternoon of Trail Clean-up. We can host groups ranging in size from 5-150. We can host groups on every third Thursday from 2-5pm from April to October. Corporate Volunteer Opportunities: If you are interested in a more hands-on volunteer experience for your organization? 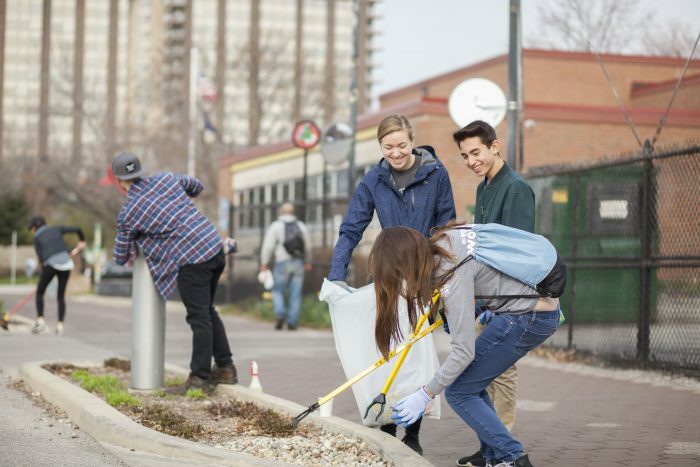 Check out our Spring Clean or Custom Day of Service. Questions? Check out our Volunteer FAQ page for the answers.